For over a decade I’ve supported hundreds of women to fulfil their potential. I'm immensely grateful for the results and success stories they continue to share with me. “Katharine’s work is a special kind of magic - my turnover has grown from 700k - 2.7 million in just 1 year! I have known Katharine for 6 years, and have worked with her for one year. 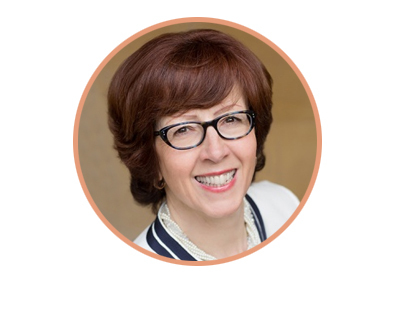 Katherine has a very special ability to ‘clear the clutter’ in your life and business by identifying and removing energy drains, building the necessary support structure around you, and clearly identifying your ‘zone of genius’. Guided by her heart and passion for working with women wanting to build their dreams, Katharine’s work is a special kind of magic. In the past year that I have worked with Katharine my business has undergone a series of quantum leaps. In one year my turnover has grown from £700k to £2.7mill, and is set for further stratospheric growth. 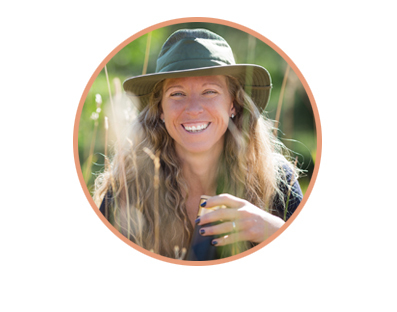 Katharine will arm you with courage, confidence and clear sight, with her own very special toolkit of practices and strategies to get you on track and in your ‘flow’. I had big plans for my business but wasn’t sure I was mentally in the right place to take it there. I knew I needed some help and support with the transition and that's exactly what I received. I love the fact that it’s not just business help that you get from Kat and the other group members, although you certainly get that if you need it. What I’ve found even more transformational is the mindset stuff - digging into the things that might be stopping you believing you’re good enough to be the person you want to be. With Kat’s support I could step back and let go of the work I wasn't enjoying by getting in help and focussing more on my zone of genius - speaking, inspiring and leading groups. It has made a huge difference - both in my enjoying the business more, increasing my income and also I now have fulfilment of mentoring nutritionists who don't have enough clients or business knowledge. That wasn't part of my original plan but it is now and I love it! Also having people around you that see your potential when you don't is invaluable! Thinking big starts to become so natural and just writing this has made me realise how far I've come from who I was when I joined. I now experience regular £10k months. I also manifested incredible results in all areas - including more foreign travel and flying first class to boot!" “I'd known of Kat for years but I felt she was just too "out there" for someone like me. But how wrong was I? ...but I was blown away by how in tune she was in the business side of business. I was stuck for 8 years - now I have 5 figure days! I feel called to write this for anyone sitting on the fence and saying “when I have this or that or when the timing is right” I will work with Kat Dever. Despite an 11k launch my business had been stuck at €1,500 a month- for 8 years. I started working with Kat on 9th January 2017. Within 2 weeks I made €8k and then a €3k months, then a €10k month. On 28th March I woke up and messaged Kat saying today was the day I was investing in Venus for 12 months. I invested in me in a big way but I did this for my clients as I knew there was more of me. Two months later I made €22k with such ease, grace, beauty and love in just 2 days. What I saw was once I showed up fully and believed and owned the power of my gifts, my clients did too. If you are ready to stand into your power and the next level is calling you, Kat Dever is your lady. She holds the space for you in a way I have never experienced before. It is magical, real, strong, and oh so powerful. The world needs us women to show up in a BIG way. Dare to just do it. You won't be disappointed if you are ready to show up the container Kat holds for you. Thank you, Kat I know this is only the beginning for me. Now I have online and live programmes, am running events around the world and a waiting list for 1-2-1 VIP clients. My book is about to be published with Hay House & I’m now working with a large corporate (The Johannesburg Stock Exchange) who are sponsoring a women’s investor event with me as the keynote speaker! “I had been dreaming of starting my coaching business for years, but I had been holding myself back and playing small. I was scared of being visible, scared of investing in myself and unsure of what steps to take next…but still the desire to serve clients and get this business going never ever left me. The moment I heard Kat’s money spot free call I knew intuitively that Katharine would be the person who could help me. My knees were knocking to make the high level investment….but whilst it was one of the scariest decisions I have ever made it proved to be one of THE best decisions. Within weeks of working with Kat I had a £25k payday and within 9 months of working with her I had taken my business from zero to six figures. It’s not just business results that I experienced…I found myself making healthier food choices, feeling emotionally grounded and generally up leveling every area of my life. 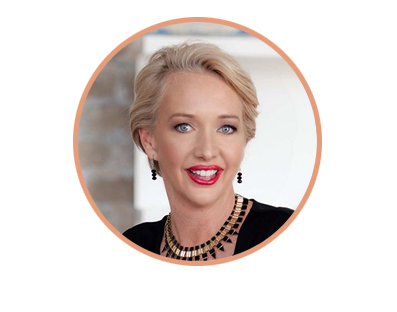 “Working with Kat has propelled my business in all ways from- quadrupling my list, to getting clear on my message & service, to attracting my ideal clients, to creating and receiving multiple 6 figures & creating a freedom based business & lifestyle. I draw on her teaching about the inner game and the essential connection to spirit, heart & miracles to have created & received my ideal clients that I love to work with and a more consistent cash flow. I have strengthened my manifestation ability & my business savvy. At the moment I’m writing this from Kauai Hawaii where I’m on holiday plus scouting for an up & coming 5 star luxury retreat that I am hosting in Oct. I believe whole heartedly in investing in ourselves to create quantum leaps in our business & Kat Dever was one of the best investments I ever made. “5 FOLD RETURN ON INVESTMENT!! Before I began working with Kat I was successful and confident, yet feeling stuck around shifting my relationship with money to a much higher, more powerful level. I felt frustrated by not knowing what was missing for me to move to a whole new level. So far my investment in Kat has been returned at least fivefold within a space of 6 months. The results began to come in within weeks of beginning work with her. That’s just the start because the real value is the new sense I have of myself and what I can continue to build for my business, my life and my clients’ lives with that. Once someone shows you how to access that kind of deep personal growth you can draw on it for the rest of your life. Kat is very comfortable with both power and vulnerability and so is easy and safe to work with. Initially investing in Kat felt like a risk for me financially but it was 100% worth it. “My Income Tripled After 1 Session. Katharine is a miracle worker in the truest sense. I’ve never seen anyone who could manifest the things she wants in her life as quickly and effortlessly as she does. Katharine seemingly glides through life magnetizing whatever she desires in the most beautiful, feminine way. She’s a graceful powerhouse in that everything she touches magically turns to gold. Katharine is my inspiration and the woman I go to when I’m not manifesting at my peak ability. Recently I found myself, and my business, lacking because I had slipped back into operating from a place of fear. After only one session with Katharine, I was pulled from my fear back into the light and since then my income has nearly tripled! I’m so grateful for everything Katharine has done, and continues to do, for me. I had never heard of Kat before (sorry Kat!) but a very strange series of coincidences led me to the call. It was definitely the universe saying to me "This is right for you. Stop ignoring it!" Her approach is soft and feminine with none of the ugly aggressive approach that is often taught to business owners trying to upscale their business. Working with Kat has taught me to value my gifts and expertise and to step up into the role that’s absolutely right for me... And to dream bigger than I ever would have thought. This has been achieved with grace and ease. It almost couldn't be easier. My working week is now down to 35 hours with plans to have reduced to 3 days by the end of the year. Thanks Kat for opening my eyes to what is achievable for me. You've allowed me to accept this (and more) can all be mine and that miracles can so easily happen if you open yourself up to that possibility." • My life feels so truly magical, it is almost unreal! • A 6 figure opportunity from ONE client landed in my inbox whilst I sat by the pool at our holiday villa." “By the end of the programme I had so much more clarity about the value of the work I do, how to communicate that and the importance of pricing it accordingly so that the people I'm here to help will value it and get the change they most need from working with me. It gave me an enormous boost of self-confidence and self belief and a clearer understanding of the flow of money and abundance so that I'm now starting to attract the clients I love working with. I got three new clients after the first full day retreat! Katharine's way of guiding our group of female business owners intuitively reminded me of how I used to lead spiritual development groups some years ago. I'd kept that side of me out of my business brand because I was afraid of being judged as too weird or woo woo, but because Katharine has blazed the way forwards for spiritual women in business, and it's obviously something that people are thirsty for, it’s helped me break through some fears and now I feel so excited to be bringing more of this part of me into my brand. It's liberated a big part of me and my relationship with Spirit is so much stronger because of it. If you want the love and support of a group of like minded women and an amazing mentor who can help you shift your belief in yourself so that you start to attract the life and business you want then I wholeheartedly recommend Kat's work. You will be amazed at what's already inside you that this process will bring out! Thank you so much, Katharine!" 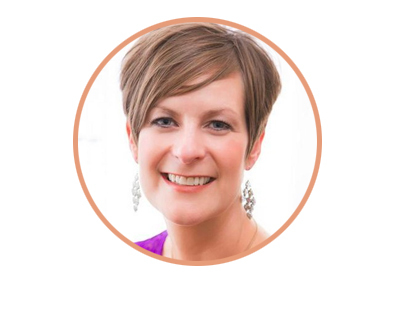 “My first sales call of the year resulted in £2,295 worth of a juicy Yes to Life and the opportunity to support an amazing woman in stepping into the life she came here to live- joyfully. Yayyy! Happy New Year!!" “I met Kat for the first time in December and went on to work with her for 6 weeks where I closed €10k with ease and magic. Her presence, love, patience and powerful magic has enabled me to own my power and gifts and I am deeply grateful." “I went from selling a single session for 97 Euros to selling three sessions for a discounted price of 297 Euros to now having a new client that just wrote me she wants to do a three-month-coaching package for 2500 Euros. Feels like magic right now! And all in a few days!!!" 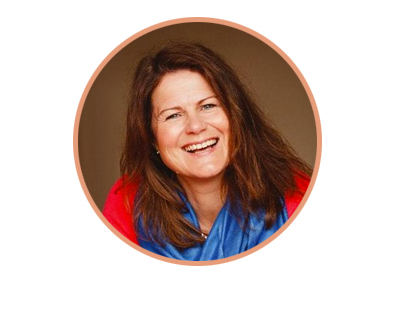 "Deeply spiritual and amazingly intuitive, Katharine has the ability to lift her clients beyond the bustle of daily life and bring to consciousness the knowledge of self locked deep within silently awaiting expression. Be prepared for an awesome journey as you gently discover your full potential and realise how special you are. Katharine's gifts for connecting, communicating and lovingly supporting are second to none." “A wonderful day with fabulous company. The greatest gift I got was the way that Katharine held a bigger vision of who I am and what I’m capable of than I did – so now I’m feeling and thinking bigger, a small but very significant shift. Plus I met some amazing women who I am already working and collaborating with. Thank you Katharine and I hope to get the opportunity to work with you again." "Katharine instinctively knew where I was coming from and where I wanted to be going. I can safely say that Katharine's services have helped me in a profound way. Before I was "stuck" in an unforgiving place in my mind. Now, in many ways thanks to her skills, I am in a free and loving mindset that I know will only grow from strength to strength." Sign up with your email address to receive your *FREE* Meditation & Attracting High Value Clients PDF. High Value Goodness Is On Its Way To You, Right Now!